SEPTA will offer special late night Regional Rail service Sunday night to accommodate crowds going to Penn's Landing, Center City and other New Year's Eve festivities and PATCO is offering free rides. 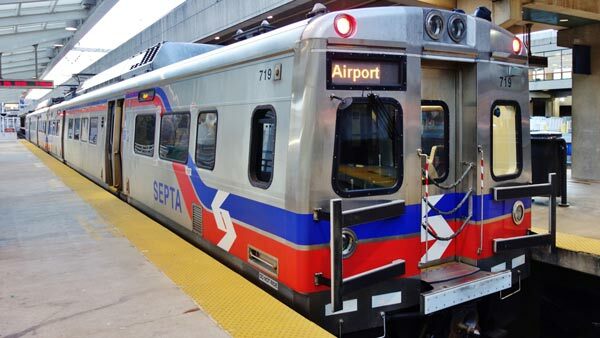 SEPTA Regional Rail trains will operate on a regular Sunday schedule, Sunday, December 31st, with special late night service. The late night New Year's Eve schedule includes added service to Chestnut Hill East, Fox Chase, Elwyn, Lansdale, Malvern, Trenton/NJ Transit-New York, Norristown, Warminster, and West Trenton. View the Late Night New Year's Eve Regional Rail Schedule here. On New Year's Day, buses, trains, and trolleys will operate on a Sunday Schedule. More details can be found here. For a second year in a row, PATCO is offering free rides for New Year's Eve into early New Year's Day. From 8 p.m. December 31st through 4 a.m. January 1st, fare gates at all station will be open. PATCO officials hope the free ride will provide a safe transportation alternative for those who want to go out and enjoy New Year's Eve festivities. A special schedule is also in effect. More details can be found here.